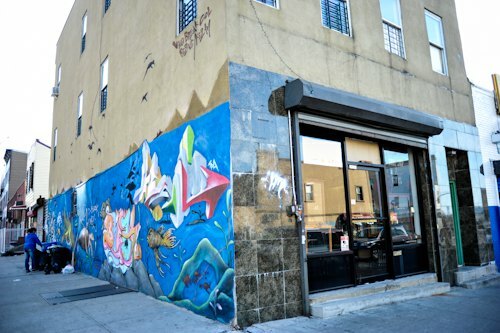 Bushwick is known for its epic "Girls-revered" party scene, so it's not a surprise that a 420-friendly shop has made its way into the neighborhood. 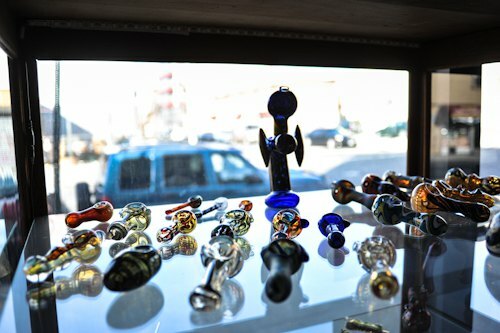 Nestled on the corner of Wilson and Melrose (near to some of our neighborhood faves Storefront Gallery and Bushwick Coffee House) a new smoke shop, Sunflower Glass Company, has made a home. 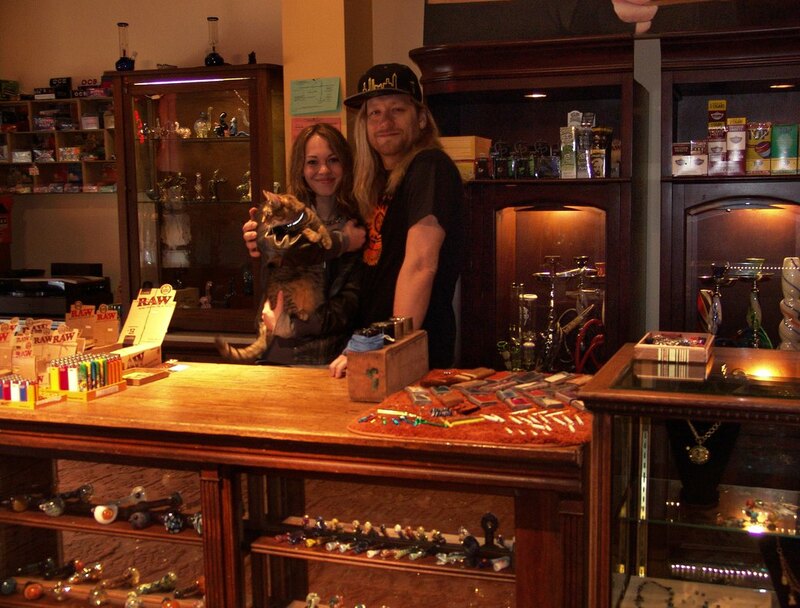 The shop is spacious, clean, well-decorated, and houses a gallery of gorgeous smoking accessories, jewelery, clothing and other goodies. 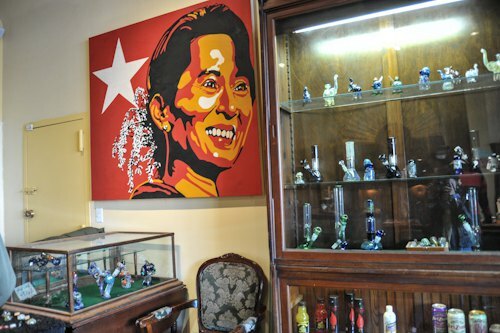 Sunflower Glass Company opened in December 2012, and has been amping up its sales since then. 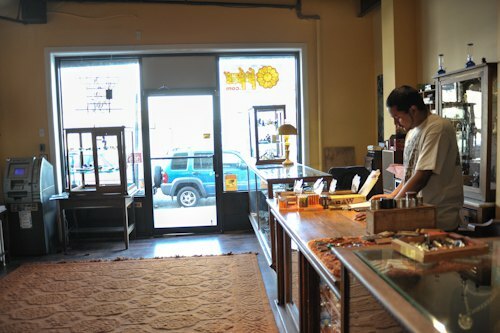 When we visited them on a Sunday afternoon, the shop was hopping with a colorful clientele. 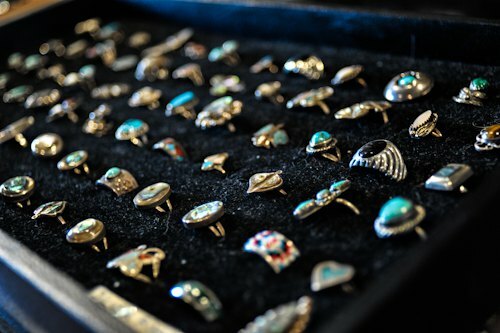 A great addition to the physical store is a fully functional, well-stocked online shop. It seems that Sunflower Glass Company takes their craft pretty seriously. 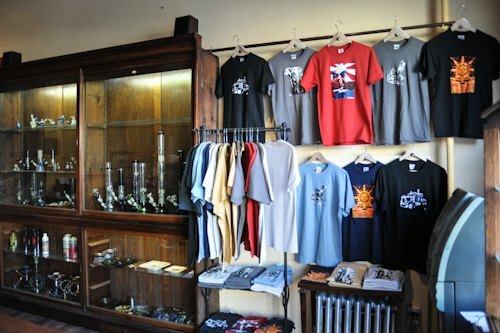 Their mission reads: "Sunflower Pipes is dedicated to the experience of smoking. We highly regard the act as an art and a ritual, and in doing so we take extra special care in choosing the products for our line." They feature a number of beautiful glass pieces and some gorgeous vintage lighters (above and below). 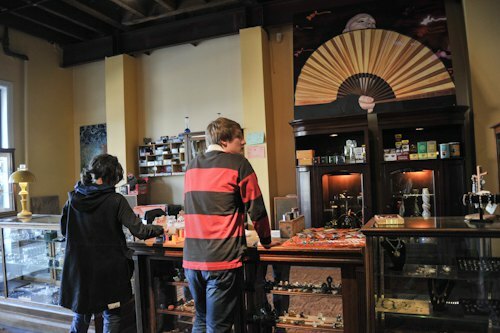 Besides the plethora of water pipes, hookahs, pipes, they also sell a variety of "incognito" smoking accessories, like storage compartments, one-hitters for the on-the-go smoker, and detox drinks. 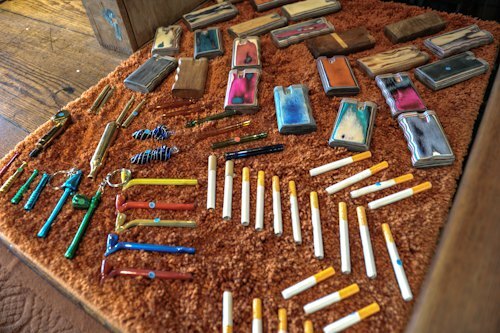 BUT, even if you're not a smoker of any kind, you'll still want to put this shop on your radar. 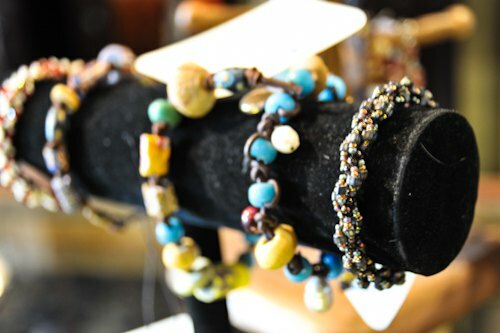 Not only for the good company of the clerk and friendly atmosphere of the shop, but also for the handmade jewelry collection. Sunflower Glass Company was started artist Erik Pye who runs the store together with it his girlfriend Lydia Kernodle. Erik, who lives with Lydia only two blocks away from the store, has resided in Bushwick since 2001. "The neighborhood has a beautiful vibe," Erik told us. His own life story is very fascinating, inspiring and would surely make for an adventurous novel one day. Originally from Austin, Texas, Erik became homeless at the age of 15 after his mother kicked him out to the street. While in the streets, Erik spent hours drawing and became seriously interested in art. "I made a decision to go the best art school in the world one day," he said. Later he joined the army in order to fund art school tuition, and spent three years at community college upstate. "When I learned about Cooper Union, an art school that accepts only 60 students per year, all of whom automatically get a full scholarship (although that is slowly changing), I knew that was where I wanted to go." Erik had quite the nerve when he bet all his friends that he would get in, as only a small percentage of people are successful. And he actually didn't get in on his first attempt. Erik doubled the bets, applied again, and got in on the second try. 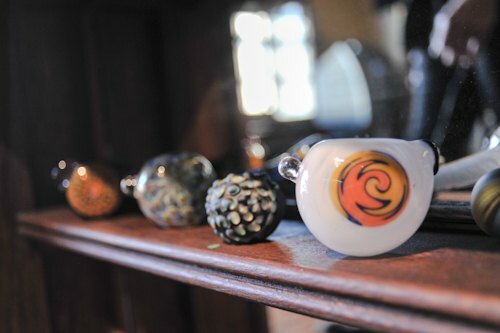 Inhale something new at Sunflower Glass Company! The store is open every day from noon onwards. Check out their Facebook to learn more. Some reporting by Katarina Hybenova. Further reading: The Villager: "Cooper graduate follows where his art leads him"